Fees associated with filing patent applications in Indonesia, as well as other patent fees, are available in the fee calculator. Patent applications with priority claim should be filed within twelve months from the priority date. It is possible to restore the priority right within three months on condition that an applicant submits the evidence of the reason for missing the deadline and pays a surcharge. - title of the invention, claims, description, abstract, and drawings, if any. An application should be filed in Indonesian. However, if patent claims and description are filed in English, it is permitted to submit the translation into Indonesian within one month from the filing date. A signed and notarized Power of Attorney should be filed either at the time of filing of the application or within three months from the filing date on condition of payment of a surcharge. A certified copy of the priority document must be submitted within sixteen months from the priority date. If an application is filed by a person other than the inventor, it is necessary to provide a legalized Assignment Deed between the applicant and inventor. The Assignment Deed may be filed at the time of filing of the application or within three months from the filing date on condition of payment of a surcharge. A request for substantive examination must be filed within 36 months from the filing date. The novelty grace period for patents in Indonesia is six months before the filing date or the date of priority if any. No official grant fee is stipulated. A patent in Indonesia is valid for twenty years from the filing date. Annual maintenance fees are due each year starting from the first one and are payable after a patent is granted. Annuities which were due before the grant should be paid within six months from the issuance of the Notice of Allowance. Subsequent annual fees should be paid at least one month before the due date (the anniversary of the filing date). Additionally, an applicant may request a twelve-month extension for payment of maintenance fees (within at least seven days prior to the due date). 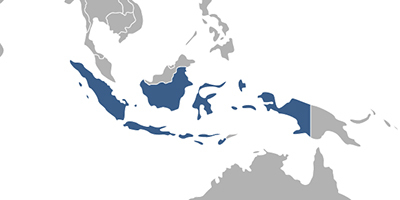 For applicants residing out of Indonesia, it is required to register patents through an agent, a registered Indonesian patent attorney. 1. Online Database for Indonesian Patents Search. 2. Inventions may also be protected as Utility Models (simple patents) in Indonesia. A Utility Model patent is granted for one invention only. The validity term constitutes ten years from the filing date.